Pauline Hazelwood grew up in Devon, and after leaving art college in London, from 1984 worked as an illustrator in publishing, editorial, and design. She later started working in oils and watercolour for private commissions and paintings. As well as illustrating childrens' books, she has exhibited work at the National Portrait Gallery and Mall Gallery. Working both on location and in the studio, Pauline enjoys painting geometric structures and perspective in the railway scenes as well as rich colours, beautiful landscapes and people. Coming from an engineering family she has always been fascinated by large structures and great feats of engineering. She currently hosts private art classes for both adults and children, and also runs painting holidays too. 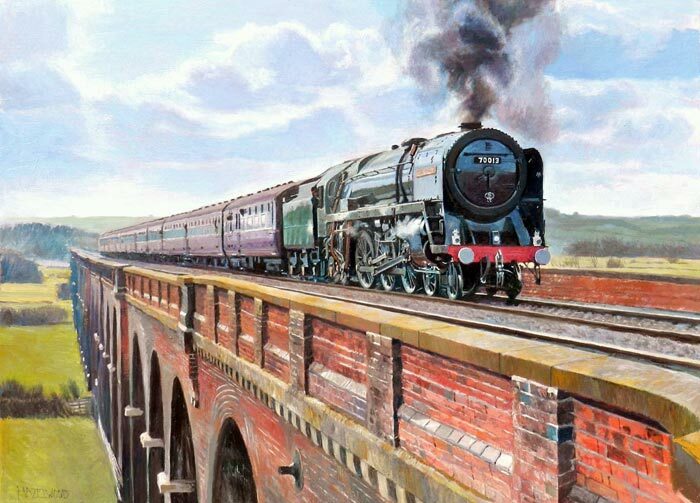 British Railways Standard Class 7 Britannia pacific No.70013 'Oliver Cromwell' crosses Harringworth Viaduct. On a British Railways Standard Class 4 loco. 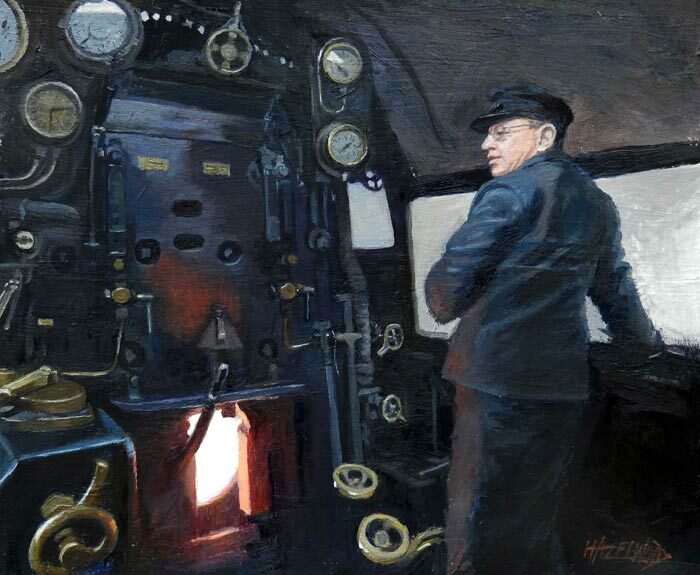 This was painted from a photo I took during my first footplate ride... I felt like Lauren Bacall in North West Frontier! 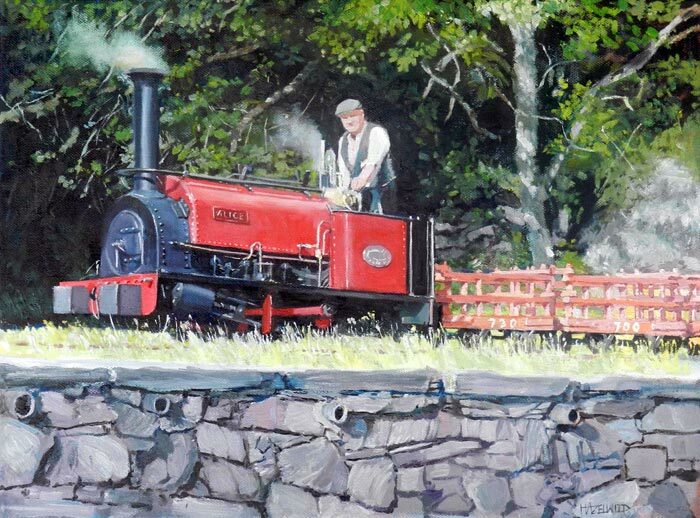 I enjoyed painting this lovely shiny red Welsh Quarry Hunslet in a beautiful setting in Wales. Commissioned by Julian Birley for the Bala Lake Railway.